BUMBLEBEE follows the fall of CYERTRON and how BUMBLEBEE was sent to defend Earth by OPTIMUS PRIME. Charlie Watson (Hailee Steinfeld) looks so different than the other roles we have seen her in, discovers and repairs BUMBLEEBEE who is disguised as a Volkswagen Beetle. As the DECEPTICONS hunt down the surviving AUTOBOTS with the help of a secret agency led by Agent Burns (John Cena), BUMBLEBEE and Charlie team up to protect the world. The storyline itself was pretty good. We enjoyed the humor and the action. Some of the humor was more obvious and geared towards the younger generation, which is fine because Transformers' fans are of all ages and sizes. However, I wouldn't say it's too geared towards the younger generation. I do, however, always love a good movie with Cena in it, being a WWE fan as well. 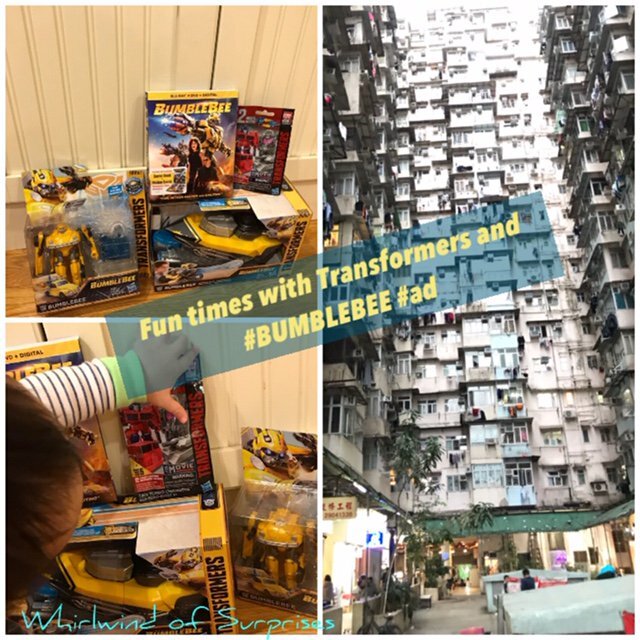 My favorite parts though, of course, involve BUMBLEBEE, he's ridiculously lovable, loyal, cute, but there are just some scenes that make you laugh out loud! It was also nice getting the background story on BUMBLEBEE's voice box issue. The film, rated PG-13, on Digital/DVD/Blu-Ray is out now and is a fun film to pick up with the family. I have to say, yes, we watched it with baby. I shielded him during the fight scenes. 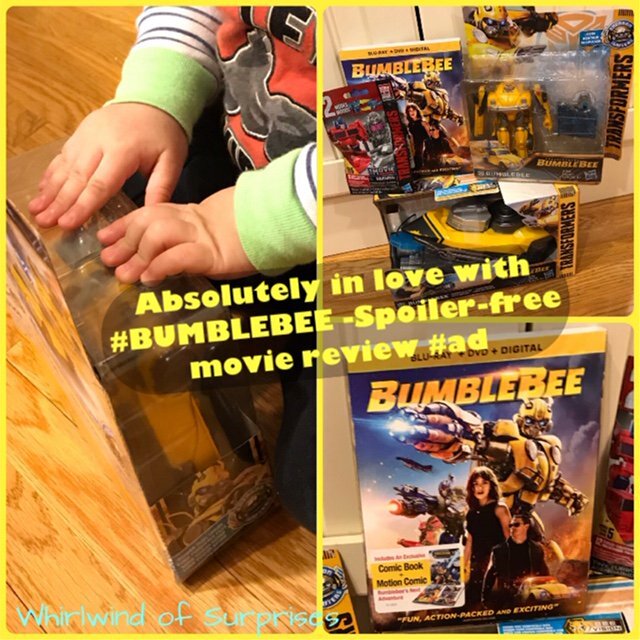 He was wholly interested in the movie and needless to say, the Transformers toys pictured in our post. He kept picking up the awesome Transformers toys and figures while I attempted to take pictures of them. I think he's well on his way to becoming a Transformers fan. Pick up some of the Hasbro Toys to make it a fun movie night. Have you watched the movie? What do you think?